Will Khartoum’s Appeal to Putin for Arms and Protection Bring Russian Naval Bases to the Red Sea? Though Sudan’s national economy is near collapse, the November 23 visit of Sudan’s president Omar al-Bashir to Russia’s top leadership in Sochi was dominated by expensive arms purchases and Sudan’s appeal to Russia for “protection from aggressive actions by the United States” (TASS, November 23; see EDM, November 29). A suggestion that Khartoum was ready to host Russian military bases took most Sudanese by surprise, given that Washington lifted 20-year-old economic sanctions against Sudan in October and relations with the US finally seemed to be improving. Al-Bashir expressed Sudan’s interest in purchasing the highly maneuverable Russian-made Sukhoi Su-30 and Su-35 fighter jets during the Sochi visit. And in fact, an unknown number of Su-35s were reportedly delivered days ahead of al-Bashir’s visit, making Sudan the first Arab country to have the aircraft (RIA Novosti, November 25; al-Arabiya, November 20). Khartoum announced its intention to replace its Chinese and Soviet-era aircraft in March, when Air Force chief Salahuddin Abd al-Khaliq Said declared Sudan would henceforth be “fully dependent on Russia for its air armament” (Defenceweb, November 29). The Su-35, deployed in Syria by the Russian Air Force, is one of the best non-stealth fighters and missile-delivery platforms available, but at an export price of as much as $80 million each, cash-strapped Khartoum may have to provide other forms of compensation. 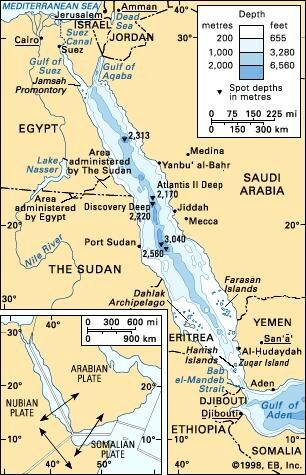 It may have been no surprise then that Sudan’s delegation in Sochi expressed willingness to host Russian naval bases along its 420-mile Red Sea coastline (Sputnik News, November 28). However, there are few suitable places for such bases on the coast, where transportation infrastructure is poor. Djibouti, with its vast harbor and strategic location on the Bab al-Mandab strait would make a far better base for Russian naval operations in the Red Sea. Russian Cossacks first tried to seize the region in 1889, but now existing US, French and Chinese military bases there (along with an incoming Saudi base) make such a proposition unlikely. Russian naval ships on anti-piracy operations in the Red Sea have used Djibouti for resupply and maintenance. Moscow is also providing Khartoum with 170 T-72 main battle tanks under a 2016 deal; and the latter has expressed interest in buying the Russian S-300 air-defense system as well as minesweepers and missile boats (Xinhua, November 25). Though Sudan still uses a great deal of military equipment of Chinese and Iranian origin, al-Bashir opened the possibility of hosting Russian military personnel when he claimed, “All of our equipment is Russian, so we need advisors in this area” (RIA Novosti, November 25). The BBC’s Russian service has reported unconfirmed rumors of Russian mercenaries operating in Sudan or South Sudan (BBC News—Russian service, December 4). Gold: President Putin was reported to have confirmed Russia’s continuing support in preventing US- and British-backed United Nations Security Council sanctions on exports of Sudanese gold due to irregularities in Sudan’s mostly artisanal gold industry in Darfur (SUNA, November 23). Since Sudan’s loss of oil revenues with the 2011 separation of South Sudan, gold has become Sudan’s largest source of hard currency, but Khartoum’s inability to control extraction has led to huge losses in tax revenues and has helped fund regime opponents in Darfur (Aberfoylesecurity.com, October 15). Sudanese Foreign Minister Ibrahim Ghandour explained that it was in this context that al-Bashir’s remarks regarding “Russian protection” were made (Sudan Tribune, November 25). 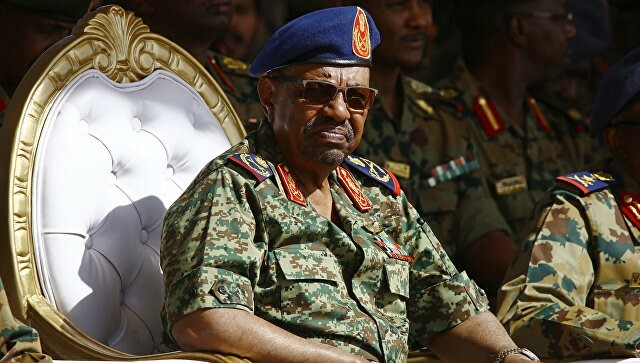 War Crimes: Al-Bashir recently learned that Washington does not want to see him seek another term as president in the 2020 elections (Sudan Tribune, November 27). The 73-year-old has ruled Sudan since 1989, but retirement seems elusive—al-Bashir’s best defense against being tried by the International Criminal Court (ICC) for alleged war crimes in Darfur is to remain president. Russia withdrew from the ICC in November 2016, calling it “one-sided and inefficient” (BBC News, November 16, 2016). Khartoum’s request for Russian “protection” was best explained by Sudanese Deputy Prime Minister Mubarak Fadl al-Mahdi, who said the outreach to Moscow was intended to create a new balance: “We can at least limit American pressure, which cannot be confronted without international support… But with Russia’s support at international forums and the Security Council, American demands will be reasonable and help in accelerating normalization of ties” (Asharq al-Awsat, December 3). However, the Sudanese regime’s nervousness over how this abrupt turn in foreign policy will be received at home was reflected in a wave of confiscations by the security services of Sudanese newspapers that had covered al-Bashir’s discussions in Sochi (Radio Dabanga, November 30). Jibril Ibrahim, the leader of Darfur’s rebel Justice and Equality Movement (JEM), insisted that al-Bashir’s request for Russian protection and willingness to accommodate Russian military bases had destroyed attempts to normalize relations with the US and was an opening to bring down the Khartoum regime (Sudan Tribune, November 27). Is Sudan playing a double game here? Foreign Minister Ghandour claims “there is nothing to prevent Sudan from cooperating with the United States while at the same time pursuing strategic relations with China and Russia” (Sudan Tribune, November 25). Nonetheless, al-Bashir has so far avoided becoming anyone’s client and is likely aware that pursuing this new relationship with Russia to the point of welcoming Russian military bases could be his undoing as he seeks to reaffirm his rule over a restless nation in 2020. 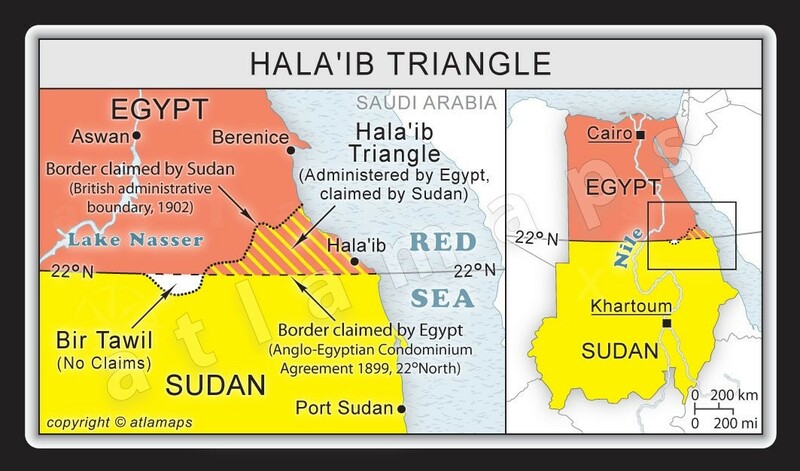 For this reason, Russian military bases on the barren and furnace-like Sudanese Red Sea coast seem unlikely for now. The importance of Djibouti to American strategic planning was reinforced this month by a visit to the small African nation from U.S. Defense Secretary Leon Panetta, who said partnerships with nations such as Djibouti were essential to the American counterterrorism effort (AP, December 13). Djibouti is home to the American Combined Joint Task Force – Horn of Africa (CJTF-HOA), a mission of over 3000 troops engaged in counterterrorism, anti-piracy, surveillance and humanitarian missions. The Task Force is centered on Camp Lemonnier, a former Foreign Legion installation leased by the United States in 2001. The U.S. facility also serves as a base for CIA-operated drones carrying out missions over Somalia and elsewhere. Government in Djibouti has been dominated by the ruling Rassemblement populaire pour le Progrès (RPP – People’s Rally for Progress).since independence in 1977. After serving as chief of the secret police, Guelleh succeeded his uncle, Hassan Gouled Aptidon, as the nation’s second ruler in 1999. Opposition leaders are routinely jailed before or after elections, leading to election boycotts in 2005 and in 2011 after Guelleh amended the constitution to allow for a third six-year term. Guelleh had previously promised his second term would be his last. The president justifies his reluctance to share power by citing an excuse used frequently by authoritarian rulers: “This time round, I will not change my mind. I did not want this last mandate. It is a forced mandate, because the people felt there was no one ready to take over” (Jeune Afrique, December 10). Djibouti has played a military role in both world wars, the Italian conquest of Ethiopia in 1936, the Suez War of 1956 (as part of France’s Operation Toreador), the Gulf War of 1991 (as a base of French operations) and now the current conflict in Somalia (including anti-piracy operations). Until recently, Djibouti was home for 49 years to one of the world’s most famous fighting forces. The 13th Demi-Brigade of the French Foreign Legion was formed in 1941 from legionnaires who rallied to the Free French cause. The unit was initially created to participate in the attack on Narvik in Norway, but later served in heavy fighting on more familiar desert turf in Syria, Eritrea and most notably in Libya at the Battle of Bir Hakeim. During its nine post-war years in Indo-China the unit took terrible losses, particularly at the 1952 Battle of Hoa Binh and the 1954 Battle of Dien Bien Phu. After service in Algeria the 13th was assigned to permanent residence in Djibouti in 1962. After deploying from Djibouti to missions in Somalia, Rwanda and the Côte d’Ivoire, the 13th left Djibouti last June for a new French base in the United Arab Emirates. (Defense.gouv.fr, June 20). Djibouti is also home to another unique military formation, the 5e Régiment interarmes d’outre-mer (5e RIAOM), the last combined arms (infantry, artillery and armor) regiment in the French army. The 5e RIAOM is the successor of the 5e Régiment d’infanterie de marine (RIMa – colonial infantry), which deployed one company of troops to protect the newly acquired port of Obock in 1890. The unit in one form or another had already participated in the assault on Russian forts in the Baltic Sea during the Crimean War as well as colonial campaigns in China, Mexico and Vietnam. In the 20th century the unit was disbanded and recreated several times under slightly different names while participating in campaigns in the Great War, World War II and the Indo-China War. The unit was re-established as the 5e RIAOM in 1969 with the mission of guarding French interests in Djibouti and being available to support French military operations in Africa or the Middle East. The RIAOM is supported by a section of Gazelle and Puma military helicopters. An agreement reached in May 2010 allowed the Russian Navy to use port facilities in Djibouti but did not provide for the establishment of a land forces base or permanent Russian naval facility. 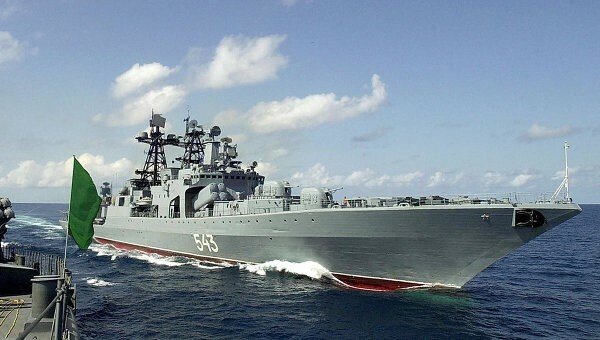 The agreement allowed Russia to deploy warships in the region on anti-piracy or other missions without the necessity of using supply ships (Shabelle Media Network, May 17; 2010; Interfax, May 17, 2010; see also Terrorism Monitor Brief, May 28, 2010). The first ever visit to Moscow by a Djiboutian Foreign Minister in October highlighted the growing relations between Djibouti and Russia (Buziness Africa [Moscow], October 20; Agence Djiboutienne d’Information, December 13). Japan has also identified Djibouti as an important asset in the protection of its vast commercial shipping fleet. A Japanese naval base and an airstrip for Japanese Lockheed P-3C Orion surveillance aircraft opened in July as a port for ships of Japan’s Maritime Self Defense Force (JMSDF). Japan typically deploys a pair of destroyers on rotation in the Gulf of Aden on counter-piracy operations as well as members of the Special Boarding Unit (SBU), a Hiroshima-based Special Forces unit patterned after the U.K.’s Special Boat Service (SBS) (Kyodo News, July 31, 2009; AFP, April 23, 2010). Protests against the regime in Djibouti calling for Guelleh’s resignation began at roughly the same time as the Tunisian revolution and the beginning of the Egyptian revolution in late January 2011. Mass arrests of demonstrators quelled the demonstrations by March, but the problems behind the protests remained unresolved (al-Jazeera, February 18; Reuters, March 4). Though Djibouti is not an Arab nation, its proximity to Yemen, its Muslim majority and its membership in the Arab League mean that developments in the Arab world are often influential in Djibouti’s political development. Guelleh denies the protests had any political motivation, suggesting they were simply an “expression of a purely social malaise, which some big-wigs of the opposition wanted to transform into a revolution… very quickly, it all degenerated into looting… It was, in a much reduced form, the equivalent of [the London riots] in early August. The only difference is that over there, if the media are to be believed, the British police simply restored order when confronted with the urban riots, whereas here we were said to have savagely quelled the peaceful protests” (Jeune Afrique, December 10). A lingering insurgency by the ethnic-Afar Front pour la Restauration de l’Unité et de la Démocratie (Front for the Restoration of Unity and Democracy – FRUD) has survived the 2001 peace agreement that brought an end to a ten-year civil war, with some Afar militants still set on deposing President Guelleh (see Terrorism Monitor, September 25, 2009). The Afar (also known as Danakil after their home territory in northern Djibouti) form roughly a third of the nation’s population, with the majority of the population formed from Somali clans, including the majority Issa (a sub-clan of the Dir) and smaller groups from the Isaaq clan and the Gadabursi, another Dir sub-clan. Religion is not a divisive force in Djibout, with 96% of the population practicing Sunni Isam. The government is dominated by the Issa and to a lesser extent by the Isaaq and Gadabursi, with the Afar having only a small representation in the cabinet. For a time in the 1960s, Djibouti was known by the name “Territoire français des Afars et des Issas,” reflecting a short-lived desire to build a post-independence partnership between the two peoples. President Guelleh has been accused of repressing dissent and an independent press, but denies these charges: “It is not a problem of censorship, but a problem of money. In Djibouti, there are neither investors nor advertisers in this [media] domain, and the potential readership is very much reduced. Here, people prefer to talk endlessly” (Jeune Afrique, December 10). Guelleh regularly derides the opposition in Djibouti as immature and incapable of participating in the democratic process: “In Djibouti the conception of democracy that these gentlemen have is as follows: either one is the head or one seeks to topple the head. They have neither the patience nor the will to take care of the rest” (Jeune Afrique, December 10). The majority of Djiboutians live in the port city while the rest tend to live as nomadic pastoralists in the harsh conditions of the countryside. Unemployment ranges between 40% to 50% and provides a source of dissatisfaction with the regime. Other than its strategic location, Djibouti has little to trade on; both resources and industry (other than a small fishing sector) are nearly non-existent. Djibouti has launched an ambitious $330 million plan to triple its port capacity by 2014 by enlarging the existing container terminal and constructing two new cargo terminals. The port is currently managed by Dubai’s DP World. Much of the new commercial traffic is expected to arrive through a modernized rail line from Addis Ababa and a new rail line from Mekele. Since the loss of Eritrea, land-locked Ethiopia has increasingly relied on a traditional commercial route through Djibouti to the sea. Some 70% of the traffic passing through Djibouti originates in Ethiopia. The main stages in the new rail line from Addis to Djibouti are being built with Chinese financing by the China Civil Engineering Construction Corporation (CCECC) and the China Railway Engineering Corporation (CREC) (Reuters, December 17). Chinese firms are expanding their interests in Djibouti, particularly in the still-nascent energy sector. 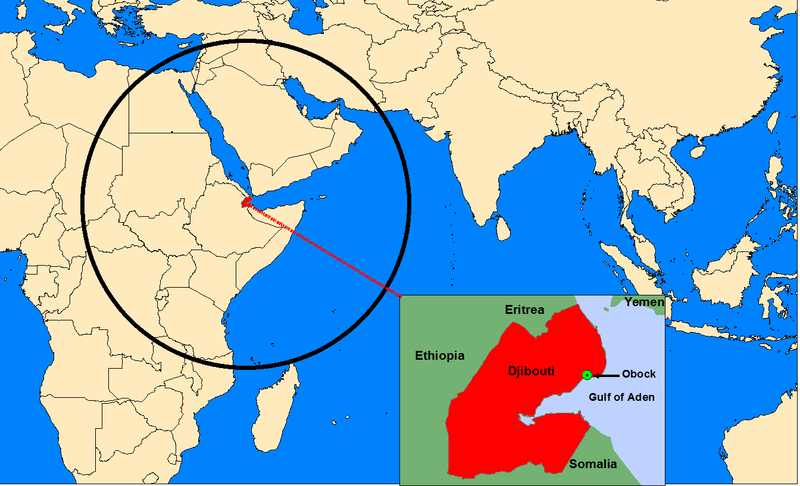 There is also speculation that Djibouti could be developed as an outlet to the sea for South Sudan (possibly including the shipment of oil products from Chinese companies working in South Sudan) as an alternative to using Port Sudan on the Red Sea in the now separate north Sudan. President Guelleh suggests that China is attentive to Djibouti’s needs in a way that the rest of the international community sometimes is not. Describing Djibouti’s search for assistance in the terrible drought experienced this year, Guelleh notes: “We were asking for $30 million. Four months later, only China made a contribution of $6 million. The rest? They are pledges without any hope of fulfillment” (Jeune Afrique, December 10). Djibouti has also obtained Kuwaiti and Saudi funding for the construction of a new container terminal on the north side of the Tadjoura Gulf to relieve congestion in the port of Djibouti and enable the handling of greater traffic from Ethiopia (Agence Djiboutienne d’Information, December 13). 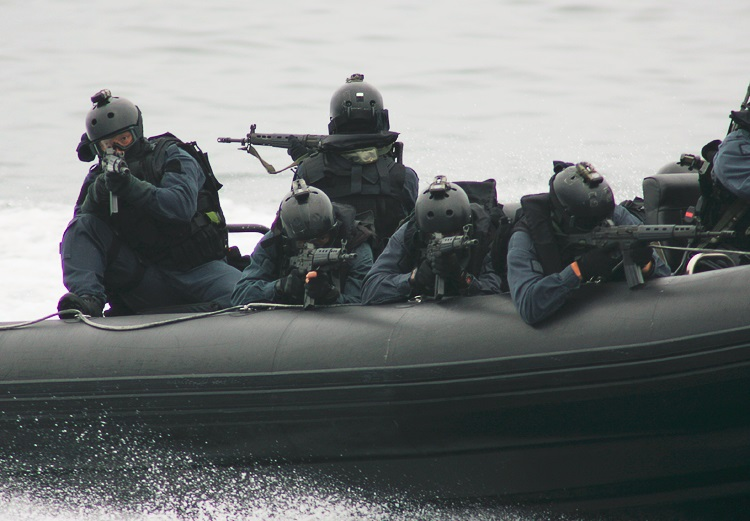 Although Djibouti has not been directly affected by piracy, the phenomenon has led to many ships refusing to come to Djibouti, preferring to use alternative ports to avoid both pirates and rising insurance premiums. Guelleh has urged the international community to address this situation on land in Puntland and Somaliland rather than at sea, where years of international naval activity have failed to deal effectively with the problem (Jeune Afrique, December 10). On December 14, Djibouti held a ceremony to mark the long-awaited dispatch of a unit of 850 men and 50 instructors of the 3,500 man Forces Armées Djiboutiennes (FAD) to Somalia to join the African Union Mission in Somalia (AMISOM). The force, the first Djiboutian military unit to serve outside of the homeland, is under the command of Lieutenant Colonel Osman Doubad Sougouleh (Agence Djiboutienne d’Information, December 14). Al-Shabaab has been angered by Djibouti’s hosting of French and American training for troops of the Somali Transitional Federal Government (TFG) and has promised retaliatory strikes within Djibouti should FAD troops arrive in Somalia to aid AMISOM operations (Garowe Online, September 18, 2009). President Guelleh says the nation is remaining vigilant, but “on the other hand, I am not overestimating the Shabaab’s capacity for causing harm; a 2,000 km stretch separates us from their Baidoa stronghold.” Guelleh says he is seeking French military assistance to make Djibouti capable of defending itself, being well aware that French troops do “not want to die for Ras Doumeira [the border territory disputed with Eritrea]” (Jeune Afrique, December 10). President Guelleh has expressed his sympathy for the task set for the TFG in building a new government in an ungoverned nation: “They have nothing. To try to establish one’s authority over a country at war, without revenue, to be constantly solicited [and] harassed by a suffering population is not an easy task” (Jeune Afrique, December 10). Al-Bashir is not what they say he is. He is the only Sudanese leader who has had the courage of negotiating with the south, going as far as amputating his country in the name of peace. Do remember the way those who are opposing him today were treating southern Sudanese as slaves, beginning with [former Sudanese Prime Minister] Sadiq el-Mahdi! 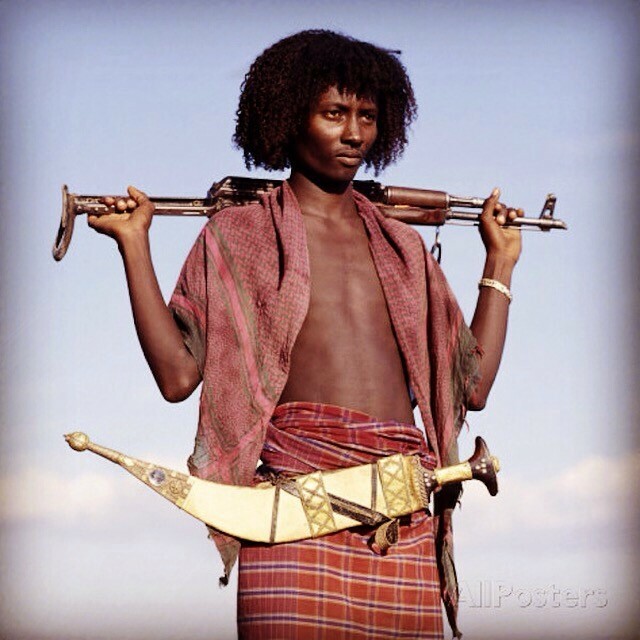 They threw this Darfur wrench in [al-Bashir’s] works by inventing a scarecrow of a pseudo-genocide. It was a fable concocted by evangelists and pro-Israeli lobbies (Jeune Afrique, December 10). Al-Bashir attended Guelleh’s inauguration in May alongside the French Cooperation Minister and the U.S. deputy assistant secretary of state for African affairs, Karl Wycoff (Sudan Tribune, May 8). As a signatory of the ICC Statute, Djibouti was required to arrest al-Bashir but, like Chad and Kenya, Djiboutian authorities have declined to do so. Djibouti has clashed twice with Eritrea (most recently in 2008) over respective claims to ownership of the Ras Doumeira peninsula along the Eritrea-Djibouti border. 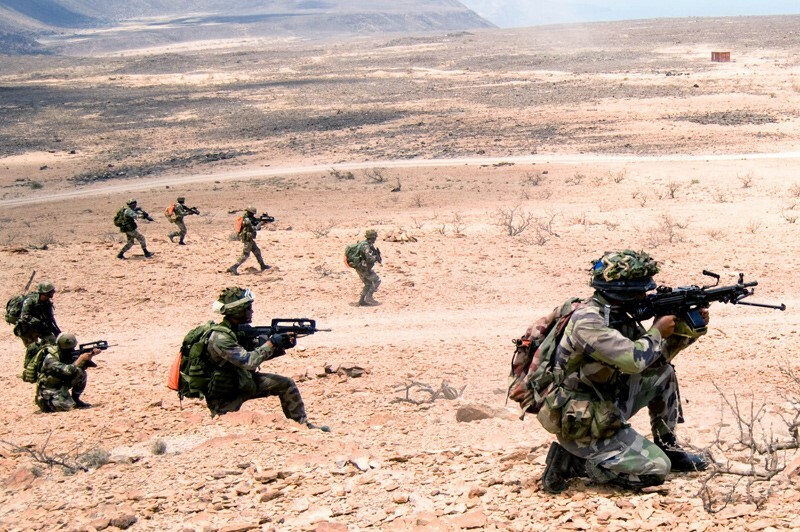 In the 2008 border fighting, French troops supplied logistical, medical and intelligence support to Djibouti under the terms of their common defense pact (BBC, June 13, 2008). The opposing forces are now separated in Ras Doumeira by a small Qatari buffer force. Though Djibouti’s external security is assured by its French patron and the presence of an American military base, internally the situation is different, and the heavy-handed response of the security services seems at odds with the president’s casual dismissal of last spring’s protests as nothing more than “the expression of a social malaise.” It also seems likely that Djibouti’s new commitment to the African Union peacekeeping force in Somalia will invite some type of retaliation from al-Shabaab terrorists who have proven capable of carrying out operations as far afield from their southern Somali base as Kenya, Uganda, Puntland and Somaliland. It seems improbable that Guelleh will be able to survive his new six-year term without substantial internal opposition, though a retaliatory strike by al-Shabaab might play into the regime’s hands, allowing mass arrests and new measures of political repression to ensure Guelleh’s eventual succession, if not by himself, then by other members of his family or the ruling RPP. Charles W Koburger, Naval Strategy East of Suez: The Role of Djibouti, Praeger Publishing, 1992. This article first appeared in the December 22, 2011 issue of the Jamestown Foundation’s Terrorism Monitor. Few nations in the world are as strategically important but as little known as Djibouti, a small desert nation of half a million people in the heart of the Horn of Africa. A lingering insurgency by the ethnic-Afar Front pour la Restauration de l’Unité et de la Démocratie (Front for the Restoration of Unity and Democracy – FRUD) that many believed was over in 2001 has re-emerged as one of a number of security problems challenging Djibouti’s continued stability. 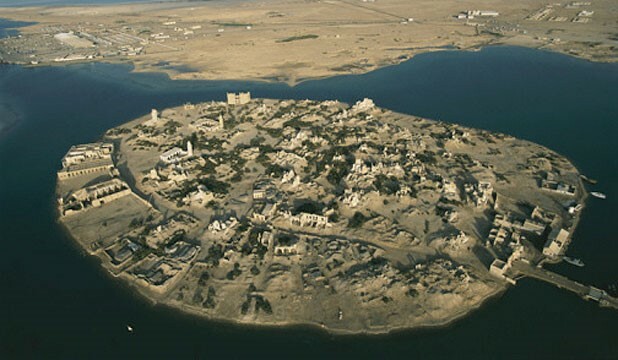 FRUD is based in northern Djibouti, the traditional home of the nomadic Afar people. The Afar ethnic group represents roughly a third of the population in Djibouti, where the dominant ethnic Somali group is divided between the majority Issa clan and smaller groups from the Issaq clan and the Gadabursi, a Dir sub-clan. Most of the nomadic Afars live in the Danakil Desert of Ethiopia, giving them their alternate name of “Danakil.” The lack of Afar representation in the central government sparked the Djiboutian Civil War in 1991. France became involved in both mediation efforts and support missions for government troops, but the conflict continued until 2001, when the remaining radical faction signed a peace agreement with the government and joined the president’s governing coalition. Since then, however, it appears that a number of Afar militants have retaken the field, dissatisfied with the implementation of the peace treaty. Most of the movement made peace with the government in 1994, with a group of hardliners under the late FRUD founder Ahmad Dini Ahmad holding out until 2001 before cutting their own deal with the government. Though certain roles at the highest level of the government have been reserved for Afars, the rest of the administration is still largely dominated by the ethnic-Somali Issa clan. 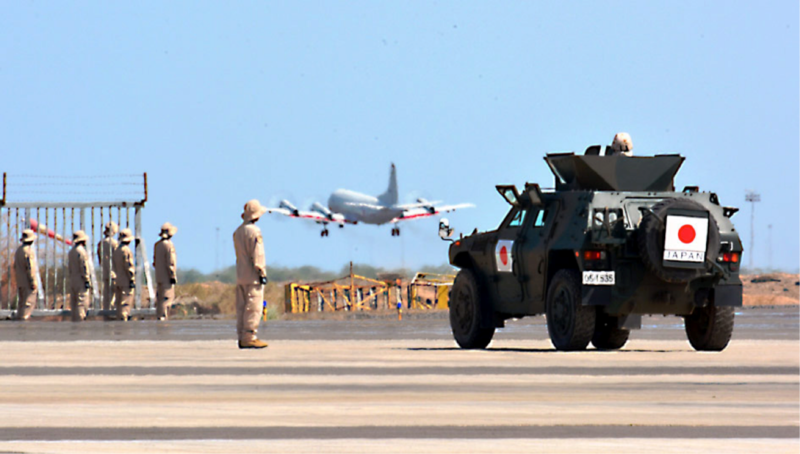 Hassan Mokbel, the FRUD spokesman, announced in early September that the movement had fought off an attack by the Djibouti military on one of their bases in the northern Mablas region. Though the attack was supported by two helicopter gunships that bombarded FRUD positions, Mokbel claims the rebels killed four soldiers and wounded 20 others in repulsing the government attack (FRUD communiqué, carried by dabio.net, September 1; Middle East Online, September 1). The troops were units of the Armée Nationale Djiboutienne (AND) based at Gal Ela in Mablas, together with reinforcements from the barracks at Tadjourah and Obock. If the FRUD reports are accurate, the action would appear to be the Djibouti army’s biggest offensive against the Afar guerrillas since May, 2006, when Colonel Abdo Abdi Dembil of the Presidential Guard led 2000 men through the Tadjourah and Obock districts (FRUD communiqué, May 17, 2006, carried by harowo.com, May 22, 2006). The FRUD militants term the present Djibouti regime a 32-year-old dictatorship characterized by a refusal to conduct free and transparent elections, a refusal to honor peace agreements, the repression of social movements (including trade unions) and the killing of innocent civilians, citing the killing of five people during the November 2005 clearance of the slum district Arhiba in Djibouti City (FRUD communiqué, June 26, carried by the Sudan Tribune, July 3; FRUD communiqué, May 17, 2006, carried by harowo.com, May 22, 2006). According to spokesman Hassan Mokbel, “FRUD, which has a politico-military approach, does not exclude any option. For FRUD, armed struggle was never the only solution. These options come in a wide range, combining social actions and mass actions and diplomatic policies… FRUD has until today ensured its military presence on the ground and is able to respond to any aggression on the part of the AND. In addition, FRUD has considerably strengthened its positions in the Djibouti diaspora in Europe, North America and Oceania [including New Zealand and Australia]” (Les Nouvelles.org, January 24, 2006). Mokbel complains that “international forces” are placing advanced technology such as satellite surveillance at the disposal of President Guelleh, who uses it to thwart the development of “true democracy” in Djibouti. Guelleh is also accused of playing the French army against the U.S. military to extract the greatest concessions from each (Les Nouvelles.org, January 24, 2006). The FRUD spokesman maintains that the movement has never been equated with terrorism because it has never targeted civilians – “I would even add that the activities of FRUD are the antithesis of religious proselytism (Les Nouvelles.org, January 24, 2006). In June, FRUD appealed to the people of Djibouti to “end the lifetime presidency of Ismael Omar Guelleh” and join FRUD’s struggle for “justice, for a real national state and for authentic democracy” (FRUD communiqué, June 26, carried by the Sudan Tribune, July 3). France first arrived in the region in 1862, when it acquired the port of Obock from the local Sultans. By 1888, the Djibouti region had become the colony of French Somaliland, giving France a strategic presence in the Horn of Africa that was largely unaffected by independence in 1977 (French Somaliland was known as “The French Territory of the Afars and the Issas” from 1967 to 1977). France continues to guarantee Djibouti’s territorial integrity from foreign aggression, but now finds itself competing for the attention of Djibouti’s leaders with the powerful new American military presence based at Camp Lemonier since 2002. Camp Lemonier, once a French Foreign Legion base, now hosts the American Combined Joint Task Force – Horn of Africa (CJTF-HOA), which focuses on coordinating U.S. military activity in the region, including anti-terrorism operations. In recent years China has emerged as a new suitor, seeking to establish diplomatic and economic ties with Djibouti. Though Djibouti’s ethnic-Somalis have so far escaped being dragged into the interminable conflict raging between their ethnic-Somali cousins in Somalia, Djibouti’s role as a host of French and American training of Transitional Federal Government (TFG) troops and African Union Mission in Somalia (AMISOM) forces and its own offer of peacekeeping troops for Somalia have incensed Somalia’s al-Shabaab Islamist militants. Al-Shabaab, which has carried out a number of deadly suicide bomb attacks against AMISOM targets, has promised to prepare a similar welcome for the Djiboutians (Garowe Online, September 18). Djibouti’s rapidly deteriorating economy and massive unemployment in an increasingly urban population is another threat to its future stability. 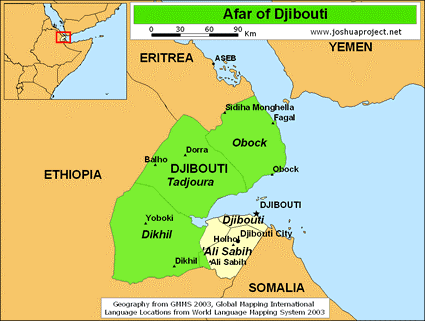 Djibouti also has a simmering border conflict with Eritrea in the Ras Doumeira region on the Red Sea coast. Nine members of the AND were killed when fighting broke out with Eritrean forces in June, 2008. With al-Shabaab extremists threatening to try a captured French security advisor in Somalia under their version of Islamic law, the radical Islamist movement appears ready to provoke a French military intervention. The man is one of two Direction Générale de la Sécurité Extérieure (DGSE) agents abducted in a July 14 raid on a Mogadishu hotel (see Terrorism Monitor, July 30). The other agent claims to have escaped his captors on August 26. Shaykh Muhammad Ibrahim Bilal, chairman of the Islamic Council of Amal (Hope), a former leading member of the ICU and al-Shabaab, condemned France’s military and security support for Somalia’s Transitional Federal Government (TFG) on August 29, adding that any other French officials coming to Somalia will be kidnapped (Daily Nation [Kampala], August 31). On August 28, an al-Shabaab official announced that the remaining French hostage would be sentenced for spying under Islamic law. Two days later Shaykh Bilal told Iranian TV that al-Shabaab was ready to execute their prisoner (Press TV, August 30). 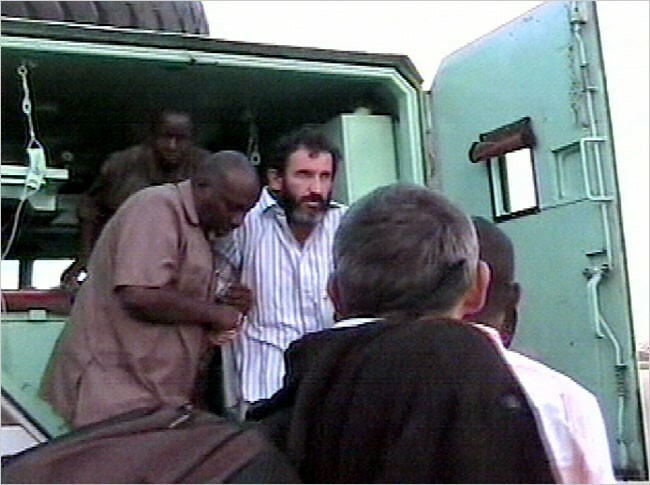 The agent who escaped, identified as Marc Aubrière (probably not his real name), provided a dramatic but highly improbable account of navigating his way by the stars to Mogadishu’s Presidential Palace after escaping his Hizb al-Islam captors and evading armed gunmen shooting at him for five hours in Shabaab-controlled neighborhoods (Shabelle Media Network, August 26; Somaliland Times, August 29). More likely are reports circulating in Mogadishu that Aubrière was released after the French government agreed to a ransom. The second DGSE agent is being held by al-Shabaab, which has assured reporters that the man is heavily guarded and unlikely to escape (AFP, August 28). A senior al-Shabaab official described the agent’s tale as absurd and accused the movement’s Hizb al-Islam allies of accepting money for the agent’s release. “Even if he escaped, how was it possible for him to walk all the way to the presidential palace without being noticed by the mujahideen?” (Hillaac, August 26). Al-Shabaab may feel it necessary to deal harshly with the French prisoner to preserve its image in light of their Islamist ally’s alleged perfidy in releasing their prisoner in exchange for a ransom (as is widely believed in Mogadishu). 150 of an expected 500 TFG soldiers are now in Djibouti receiving military training from the 5e Régiment Interarmes d’Outre-Mer (5e RIAOM), a mixed-arms Marine regiment permanently stationed in Africa. There are reports that some of the TFG recruits were returned to Somalia for being too young (Libération, August 28). The government of Djibouti has also announced its readiness to send an estimated 500 soldiers with French assistance to Somalia to join the badly undermanned African Union Mission in Somalia (AMISOM) peacekeeping force (Garowe Online, September 2). French President Nicolas Sarkozy has indicated France will not be deterred by hostage-takings. “We will mobilize to support Africa faced with the growing threat from al-Qaeda, whether in the Sahel or in Somalia… France will not let al-Qaeda set up a sanctuary on our doorstep in Africa. That message, too, must be clearly heard” (AFP, August 27).